We provide conductive corrugated packaging paper . 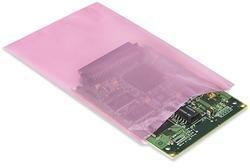 It is provided with versatile cardboard ESD shielding material. These corrugated packaging paper are extensively offered to electronics industry. The products made from this material range include component boxes, PCB transit boxes, IC tube boxes, in-plant handlers for PCBs and used for other custom applications. These corrugated packaging paper are developed in compliance with the theory that to protect electrostatic sensitive devices from the unwanted effects of ESD, they must be handled exclusively in an ESD protected area (EPA) where electrostatic potential differences are minimized and ESD must be transported from one EPA to another only in shielding packages. Because of its static dissipative skin and buried conductive core, ESD shielding material suitable for use in ESD protected areas (EPA). We are manufacturer of ESD / Anti Static / Conductive Slippers in Polyurethane or EVA Slippers. We have sizes start from 7 to 11 size, color: black and blue, we can also make in other color if the quantity is good. 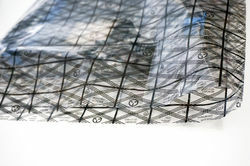 Conductive Grid Bags: The Static Shielding Grid Bag provides static shielding protection through a unique conductive grid pattern, a Faraday cage on the outside of static dissipative polyethylene. 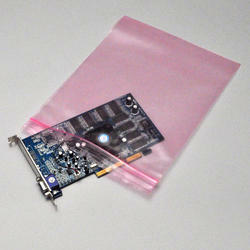 A conductive outer layer provides faster charge dissipation when the bag touches a grounded surface. All bags are tested to meet or exceed the electrical and physical requirements of MIL-B-81705C & EOS/ESD Standards. Reduce losses due to damaged components, rejects, reworks caused by ESD. Unique conductive grid pattern, a Faraday Cage. Economically priced as compared to metal out bags. Conductive layer is on the surface. Dissipative layer is on the inside. Improve yield & bottom line profits by elimination of static charges. Anti static pink tubing & bags: many ics are static sensitive and can be damaged when you touch them because your body may have become charged with static electricity, from your clothes for example. Static sensitive ics will be supplied in antistatic packaging with a warning label and they should be left in this packaging until you are ready to use them. 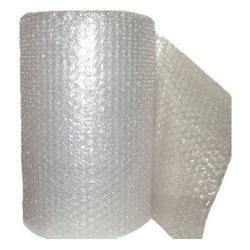 Antistatic Pink bubble bags is made of low density polyethylene in the traditional from of packing material. In addition toits Antistatic properties, these bags provide the necessary separation of parts during transportation and storage. 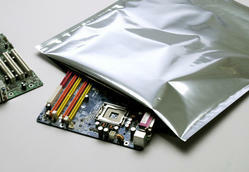 Electrically Antistatic bag provides lubricity within the bag to inhibit static charge build-up. Anti-static/conductive foam can prevent damages to the products, components from shock, vibration and other impact as well as the anti-static protection during transportation, storage. It can also provide protection from moisture and dust due to its closed cell structure. There is no carbon, metal particles and non-corrosive it is durable, resilient and light weight. Puncture resistance and moisture barrier for dry package. Specially made-component structure bag +featuring proprietary static dissipative surfaces, high moisture barrier, good heat sealable, waterproof, vapor proof as well as greaseproof protection properties for the packaging of electrostatic sensitive products.